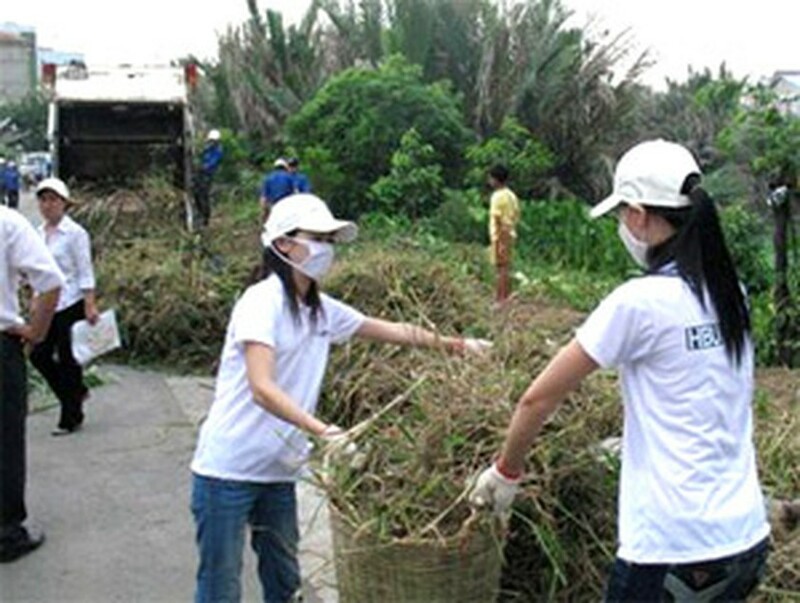 Clean Up The World campaign and the 66th Green Sunday were launched on September 17 in District Binh Thanh in Ho Chi Minh City. More than 600 volunteers from Australian enterprises, students of the Universities of Law, Hong Bang, Technology, Ton Duc Thang, Royal Melbourne Institute of Technology (RMIT) Viet Nam, employees of the Department of Natural Resources and Environment, the Department of Transport and Urban Public Works and inhabitants took part in the environmental campaign. 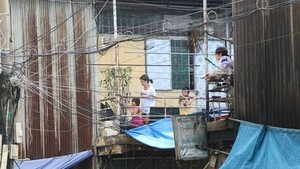 The volunteers spread out to clean up the banks of Cau Bong, Cau Son and Lang canals, dredged the canal beds while staffs of the Australian Consulate and RMIT students distributed leaflets on the need to keep the environment clean and planted trees. Deputy Chairman of HCMC People’s Committee Nguyen Van Dua and Mr. Mal Skelly, Australian Consul-General in Ho Chi Minh City, presented at the launch. Clean Up The World is a community based environmental campaign that inspires and empowers communities from every corner of the globe to clean up, fix up and conserve their local environment. In conjunction with its primary partner, the United Nation Environment program (UNEP), Clean up the World brings together business, community groups, schools and government in a range of activities and program that positively improve local environment. Since the first campaign in 1993, Clean up the World, initiated by the Australian government, has inspired more than 35 million volunteers in over 100 countries to take part in the campaign in the third week of September each year. This year, the campaign takes place from September 15 – 17 with the theme “Deserts and Desertification” with the participation of 600 organizations of 122 nations in the world.